I'm working on a G code generator for the lathe that includes a roughing cycle. What I have now in my mind is to enter the following items into the generator and it spit out the correct code. 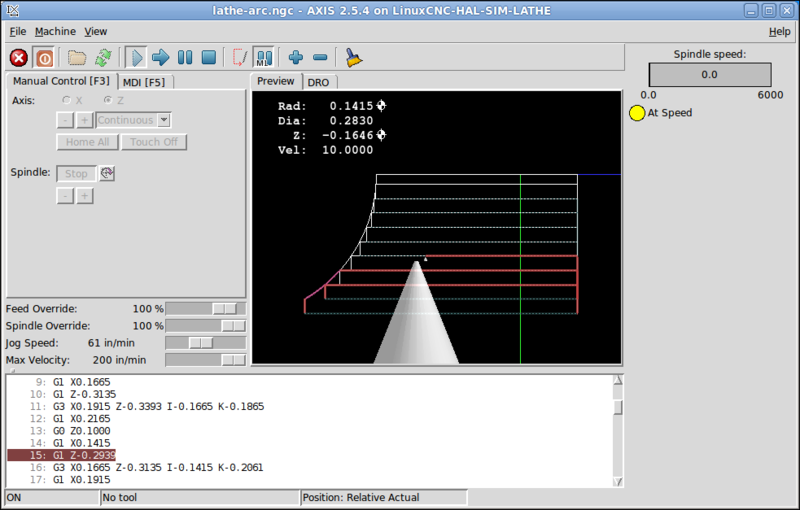 Surface Speed and RPM limit. List of lines or arcs that describe the profile from the outside to the center. 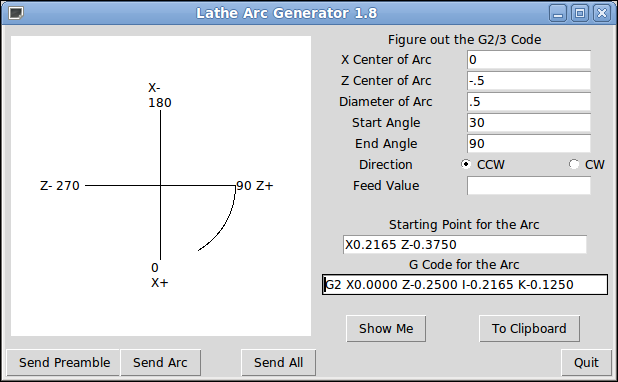 A tab will have the Lathe Arc Generator on it so you can get the arc G code and send it to the list. The roughing cycle does a feed move to the Z end then a feed move following the contour of the line or arc so the finish pass is a constant depth of cut. 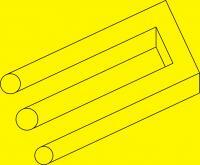 Then a feed move out by X step depth. Then rapid moves to Z clearance and over to the next step. Some screen shots of tests. Last edit: 22 Dec 2014 23:15 by BigJohnT. Pretty cool John, looking forward to giving it a try! I made some progress this morning on this, I've embedded a GladeVCP tab in Axis and will use the python interface to send the file to Axis. I'm pretty sure I'm on the right track with this as you can modify the path then load it in axis to view it with the back plot. Saves having a separate back plot. 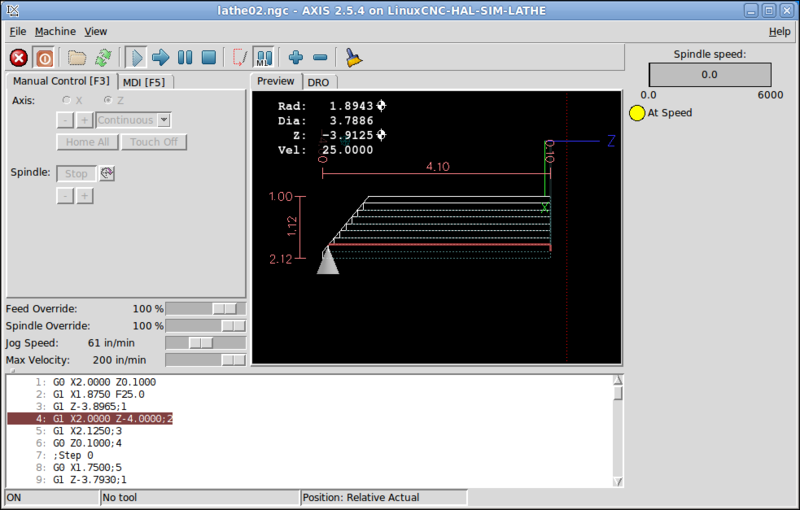 Edit: Well, crumb the file lathe02.ngc shows loaded in the title bar but the splash code is still displayed so Axis is not "seeing" the new code. Last edit: 23 Feb 2015 04:13 by BigJohnT. Looks like I can use axis-remote to load the file YEA! In my python I just have to use os.system('axis-remote file_name.ngc') to load the file and have Axis update. I just wanted to ask how you are going with the project I'm working on something similar but with remap (g71 cycle Fanuc style), first. I am learning programming. and python, you could share your code? Right now it is a jumble of code bits... I've worked out the roughing for arcs and lines but have not combined all the work into a cohesive file. I do have some tutorials on Python and Gtk on my web site.